For more information about the fight or to purchase tickets please click HERE! The day kicks off at 6am with the InnerAct Alliance Red Ribbon Half Marathon, 5K & Kids’ Run. The Big Event begins at 4pm and ends at 8pm, with vendor move in at 2pm. 2016 will be the first year for the event. This event will engage the people of Lakeland and the surrounding areas as a family-fun community celebration showcasing the diverse offerings of the Lakeland area – in music, food, art, performance, business, and innovation – and bringing awareness to Lakeland’s offerings. With the input of the community, the event will continue to improve year over year, as needs change. 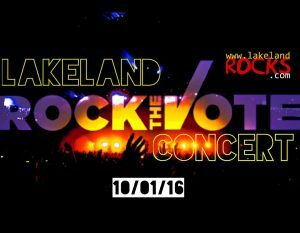 The event is for the families of Lakeland, FL and the surrounding area, and eventually will attract people from across the U.S. Their entertainment needs are live music, quality food and beverage, spending time with family and neighbors, engaging in the community, and sharing all the best of Lakeland and Polk County. The core activities of our committee are to present a safe, enjoyable, memorable event that improves year over year. We will use the event to promote our area by celebrating our achievements, talent, innovation, and community. “Americana” feel – with local traditions, icons, relics, etc. Build and strengthen cooperative partnerships with governmental agencies, businesses, foundations, community, and cultural organizations. The Big Event – A Celebration of Lakeland! The Lakeland Area Chamber of Commerce present a new, city-wide signature event – one exceptional day in Lakeland! The iconic and historical Lake Mirror Promenade is the perfect backdrop for local fun. On Saturday, November 12, 2016, RUN or WALK to the Red Ribbon Half Marathon, 5K & Kids’ Run from 6am to 11am, then celebrate the race and experience the best of Lakeland from 4pm-8pm at The Big Event! The Big Event is a free, public, family-oriented celebration featuring local live music, food & drink, Kids Zone, Business Expo, Makers’ & Artisans’ Row, and more – truly representing Lakeland and its people. Registration is open for artisans, makers, businesses (established and emerging), food vendors, and non-profit exhibitors. Experience family fun + great tastes – Lakeland style!